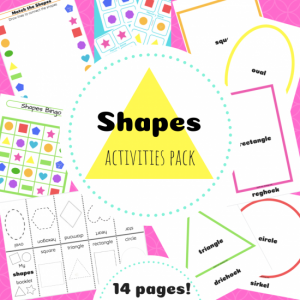 Is your child/student learning about shapes? 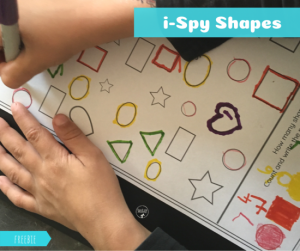 Here is a fun freebie for you- i-spy shapes and tips on how to teach shapes! I-spy activities like this one is great to develop visual perception. Then, shape knowledge is worked on AND counting skills too when the child counts how many of each shape he/she sees. Comparing which shape is there more/less of enhances other mathematical skills. BEFORE doing a worksheets(2D) like this, provide experiences to learn about shapes on a 3D level. Use everyday objects like a ball, a block, a kite etc. 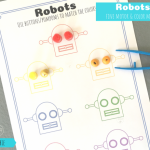 so that kids can bring shapes into their world and understand it better. 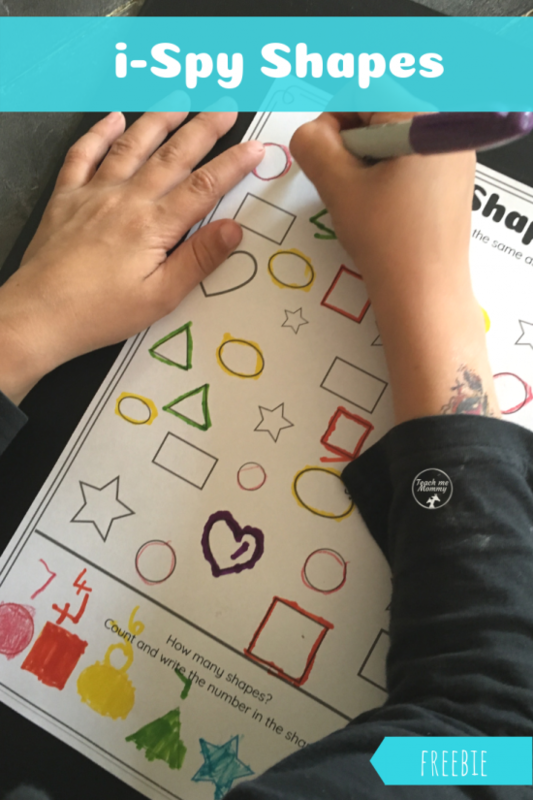 Play shape scavenger hunt- find different shapes in the room, and link to the shapes on a poster/flashcard. This makes shapes “real” for young children. Use the playdough mats found in the shapes pack to “build the shapes” for hands-on learning. Speak about the shapes, their properties and their names to develop language/vocabulary and consolidate shape knowledge.